Home Finance Payments and Collections The Cryptocurrency Craze Has Slowed Down: What Should We Expect Now? The Cryptocurrency Craze Has Slowed Down: What Should We Expect Now? For anyone who has followed this fledgling industry for a number of years, 2017 was an impossibly crazy ride for the cryptocurrency space. Popular coins such as Bitcoin and Ethereum experienced exponential rises in price, along with smaller cap coins that created a real craze around the still-developing industry. But so far 2018 has been a sobering reminder that things need time in order to blossom, and that getting rich overnight is a fantasy that not even crypto can sustain. Bitcoin has fallen more than 70% from its all-time high, with other coins depreciating even more. Even worse, suspicious crypto projects like BitConnect were rocked by scandals that led to substantial financial losses and a darkening of the overall market atmosphere. One of the biggest drawbacks of cryptocurrencies lies in their inherent design flaws. With a focus on decentralization and security, many of the most popular coins and ecosystems currently lack the power to scale up at a level that would be truly competitive with the titans of the financial industry. But as Bitcoin’s Lightning Network and Ethereum’s emerging sharding and Plasma technologies show, it is possible to scale up using both on- and off-chain solutions. At the rate things are evolving, it’s not impossible to imagine networks one day being capable of reaching 1 million transactions per second with marginal fees for end-users. Scaling solutions can only do so much. After all, what’s the use of impressive TPS results if no one is actually using crypto-centric platforms? This is where partnerships with real-word businesses come in. Tech giants ranging from Microsoft to Facebook have either expressed their intentions of joining the space or have already set partnerships in motion to establish a foothold in what is still mostly unexplored territory. 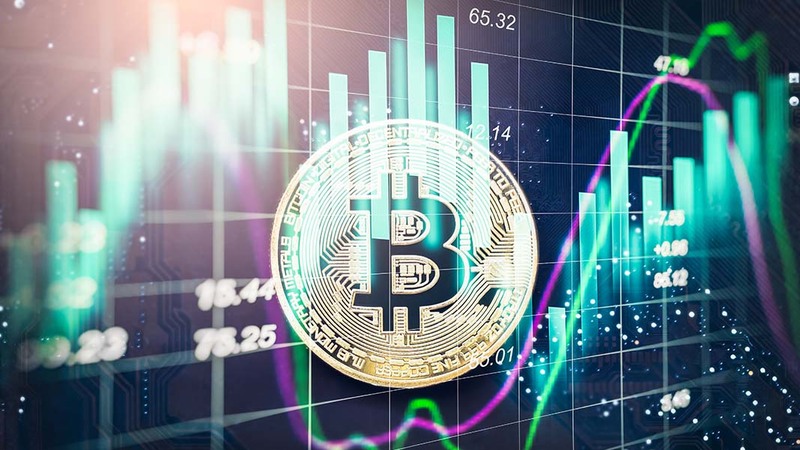 In fact, the recent price drops have helped redirect some much-needed focus towards the technologies underlining cryptocurrencies, a healthy approach that should lead to more growth in the near future. At the tail end of 2017, transaction fees and network logjams conspired to make using crypto both expensive and cumbersome—the exact opposite of the industry’s promise. However, as various upgrades have been rolled out and the all-consuming ‘fear of missing out’ has been dialed back a bit, transactions have become substantially faster and cheaper once again. What’s more, a rising number of people in many parts of the world have started to own and use cryptocurrencies, a positive sign for an industry that still has a lot of room to grow. The influx of newbies who entered the cryptospace in the second half of 2017 mostly consisted of people who were eager to get rich off the area’s suddenly explosive growth. Whoever still remains in place after this bear market ends will have learned a valuable lesson – what goes up, must come down. But one need only take a look at how reputable projects are valued in this space: here’s a Quanstamp price prediction for instance, in order to really get a gist of the growth potential this industry still showcases. Let’s face it—for the vast majority of people understanding things such as private keys, cold wallets and hard forks is and will likely remain an uphill battle. That’s why the road towards mainstream adoption has to involve streamlining crypto products so that the average consumer can use them without worrying about the safety of their funds or any other technical details. Currently, the race is on to develop crypto wallets and products that are as easy and straightforward to use as possible, and it’s only a matter of time before something as seemingly innocuous as CryptoKitties pushes the industry back into the mainstream. All in all, it’s clear to see that cryptocurrencies are here to stay. Whether that means scaling the same heights as in 2017 or even exceeding them remains to be seen, but this fledgling industry has already proven its strength and resilience on numerous prior occasions. Now is not the time to bet against crypto. Philip Piletic’s primary focus is a fusion of technology, small business, and marketing. He is an editor, writer, marketing consultant and guest author at several authority websites. Philip is in love with startups, latest tech trends and helping others get their ideas off the ground.